Palm trees gently swaying over pristine white sands, enjoyed with an icy cocktail in hand on the deck of your overwater villa. 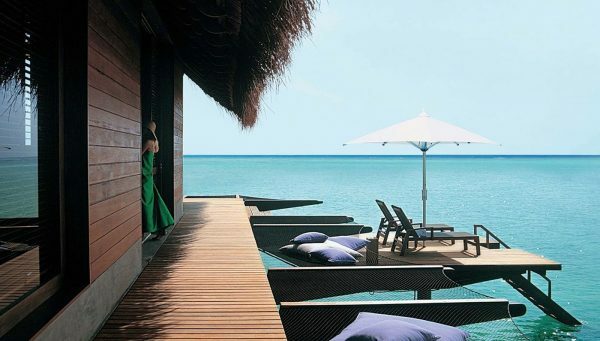 That is the holiday vision the Maldives archipelago holds for families, couples and more. Seafaring Arabic traders called this the “money isles” as they harvested cowrie shells to trade nearly 2,000 years ago. More poetically, the actual name refers to the way the 26 coral atolls are scattered like a garland across the ocean. Go on a snorkelling safari to Addu and you may find yourself swimming with spinner dolphins and turtles as you explore the coral reefs. 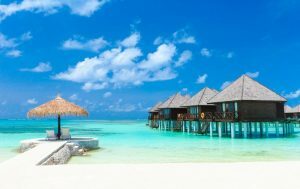 The resorts of the Maldives may offer the ultimate in holiday indulgence but authentic island culture is accessible, you just need to visit one of the inhabited islands. The tropical Maldives are very warm all year around but watch out for the south-west monsoon in May-October and the north-east monsoon in November-April. Year round temperature average of 25’C.